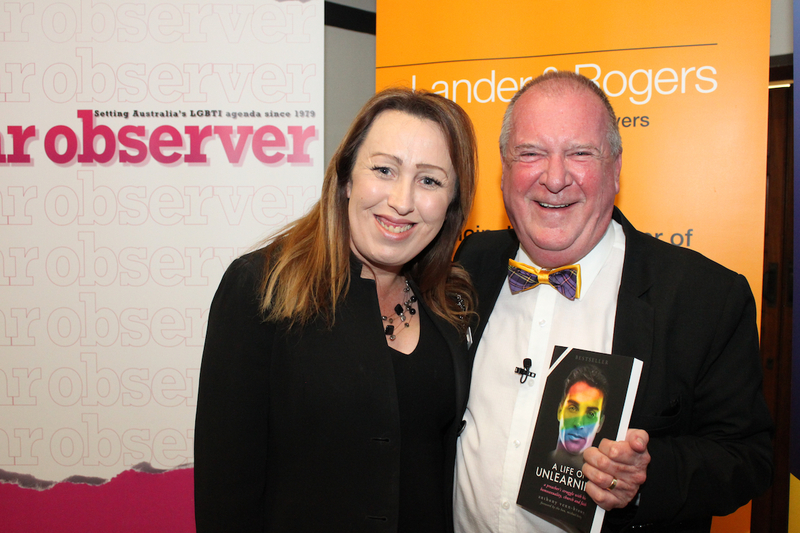 During the 2018 Mardi Gras season, the SGLBA hosted Rainbow Reflections at the University of Sydney with our friends from Lander & Rogers. The following is a personal message from ABBI Founder and author, Anthony Venn-Brown who you met on the night. It was a great night. So much was covered and it was privilege to be a part of the line-up. I’ve had a number of people afterwards want more information about my presentation. I have now put that up on our blog, with additional thoughts and links to the full newspaper articles. You can read that here “What happened before for the first Sydney Gay and Lesbian Mardi Gras“. As I mentioned on the night, Ambassadors & Bridge Builders International (ABBI) works in the space of the nearly 40% of Australians who said No to Marriage Equality. It’s a challenging space but an important one for LGBTI people, particularly youth who have unwelcoming family, culture, religion or geography to contend with. Just last week a young man from a Pentecostal family in Peru contacted us because he was conflicted about being gay and talking about suicide. He came across our site searching for answers to his faith/sexuality conflict. Currently, we are working very much behind the scenes to see gay conversion therapy banned in Australia. If you’d like to keep up to date on our work you can subscribe to our newsletter HERE. Finally, ABBI receives no government funding – our often life-saving work can only be achieved with the support of people like you, who believe in the importance of creating understanding, acceptance and equality. If you’d like to make a tax deductible one-off donation or become a monthly supporter you can find all the details HERE. If you have any questions or you’d like more information please feel free to call or email anytime. I’d love to hear from you. (L-R) Robyn Kennedy – 78er, Sebastian Rice – Star Observer, Katherine Maver – IBM, Jodylee Bartal – Special Counsel, Lander & Rogers, Sam Turner – Westpac Group, Anthony Crandell – Assistant Commissioner, NSW Police Force, Dean Smith – Senator for Western Australia and Anthony Venn-Brown – Author.